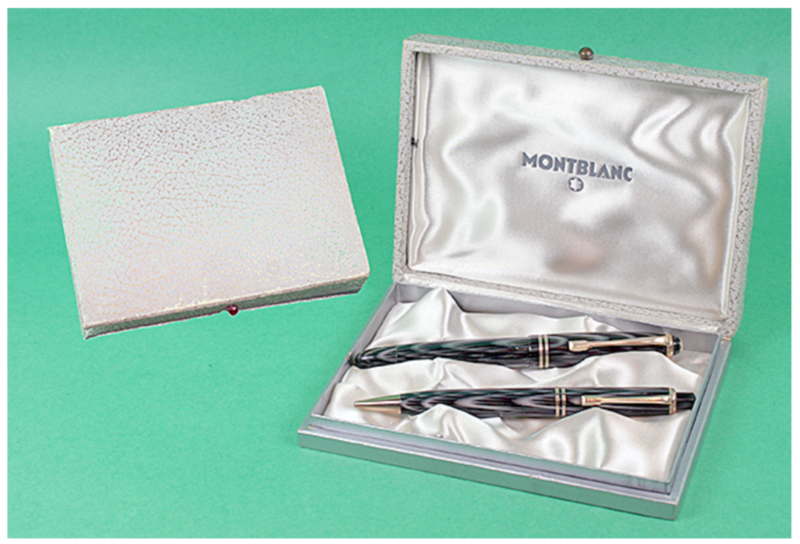 This extraordinary vintage pen is a 1950 Montblanc 244 piston filler set in Grey Striated. Features gold filled trim. Medium nib. New-old-stock. Mint in original silk lined form-fitted box. You’ll never find a nicer set! 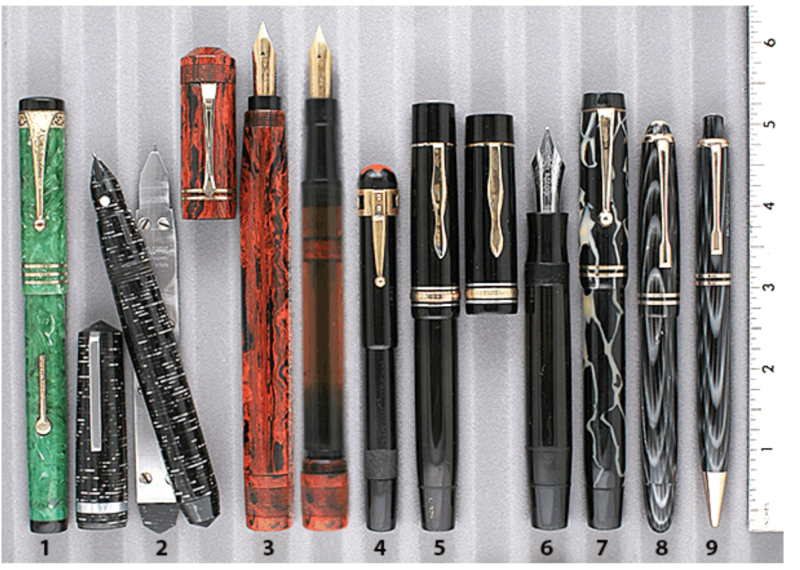 Includes Item #9 – Button-activated repeater Pix Pencil for the 244. Item #8 in Catalog #85.